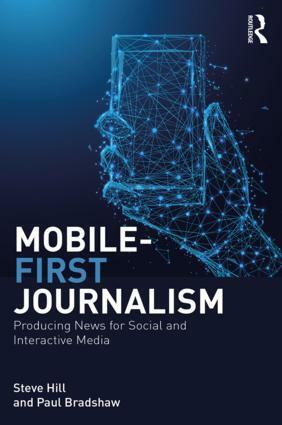 As 2018 comes to an end, in an extract from the introduction to Mobile-First Journalism I look at how the past few years have shaped the current face of mobile and social-native journalism — and what that means for its future. The mood around mobile and social changed dramatically in 2018. To those working in the field, it could sometimes feel like being caught in the crossfire of a battle. Fake news, Russian trolls, concerns over filter bubbles and hoaxes, censorship, algorithms and profit warnings have all shown that the path to mobile-first publishing is going to be anything but an easy one. This entry was posted in facebook, online journalism, twitter and tagged BuzzFeed, Donald Trump, Espen Egil Hansen, fake news, Internet Research Agency, native content, partnerships, russia, shadow banning, tumblr on December 17, 2018 by Paul Bradshaw. You probably already have your favourite audio recorder and editor but Clammr offers something new: a way to highlight the best bits of your podcast to help it stand out on social media. This entry was posted in interactivity, journalism, online audio, online journalism, podcasts, twitter and tagged audio, clammr, journalism, journalist tool, online tool, podcast, twitter on February 12, 2016 by Alessandro . I. When a national news story breaks and you need local reaction, how do you exclude the national-level updates that dominate all the other coverage? On Twitter there’s a simple answer: search within lists. This entry was posted in online journalism, twitter and tagged ADVANCED SEARCH, twitter on January 13, 2016 by Paul Bradshaw. 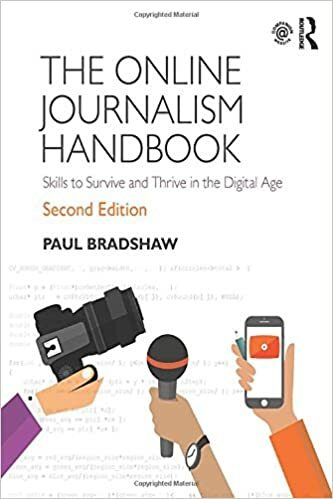 This entry was posted in facebook, online journalism, twitter, youtube and tagged Audioboom, BatchGeo, CartoDB, coveritlive, embedding, Google Maps, iframe, Infogr.am, Instagram, Piktochart, shortcodes, storify, ThingLink, wordpress on April 29, 2015 by Paul Bradshaw. Last year I decided to require my students to submit analytics as part of all their online journalism work. One of the tools that I recommended was Twittercounter. 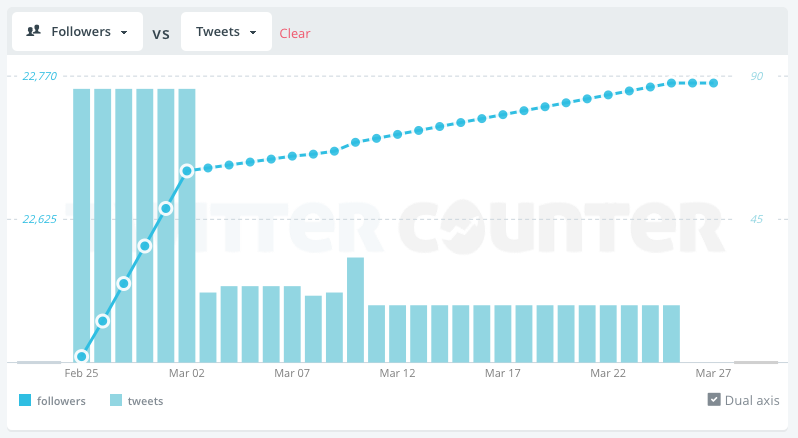 The free version of Twittercounter does something very simple: it shows you a chart comparing two of three metrics: your followers, your volume of tweets, or the number of people you are following. It’s not completely accurate, but its simplicity does something very important: it focuses your attention on whether your use of social media has any impact, on one metric at least: the size of your audience. Of course followers is only one metric – I’ll write in a future post about other metrics and other ways of measuring those – but the ease with which Twittercounter works makes it as good a place as any for aspiring students to begin exploring the importance of measurement in modern journalism. This entry was posted in online journalism, twitter and tagged assessment, birmingham city university, metrics, teaching, Twittercounter on April 9, 2015 by Paul Bradshaw.